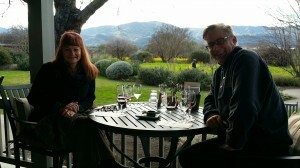 My husband and I recently returned from another adventure in Napa and Sonoma. 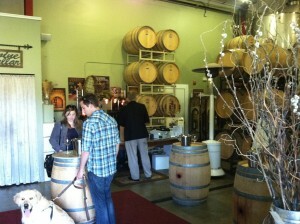 Our goal was to visit wineries we’d never hit before, and for the most part that’s what we did. There’s one winery, however, that we couldn’t drive by without stopping, and that’s Frog’s Leap. “Why?” you ask! Well, there are a few reasons. Firstly, it’s just so darned beautiful there. Secondly, the tasting is very special. When the weather is nice, tastings are held outside when possible. The tasting includes yummy local cheeses, crackers, and some jams made from fruit grown on the property. Thirdly, and most importantly, the wines are WONDERFUL!!! As we arrived for our tasting, we drove alongside beautiful vineyards of dormant vines surrounded by the beautiful mustard know in the region at this time of the year. The historic Red Barn, which was originally built as the Adamson Winery back in 1884, welcomes the winery visitors on the drive in. Today, this “ghost winery” not only inspires their wine tasting guests, but also Frog’s Leap’s winemakers John Williams and Paula Moschetti. John Williams (a former diary farmer from upstate New York, NOT the music composer famous for film scores with the same name!) moved to Northern California in 1975 to study Enology and Viticulture at UC Davis. 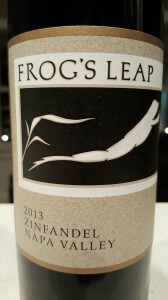 After working at Glenora Wine Cellars in the Finger Lakes region of New York, and Stag’s Leap Wine Cellars and Spring Mountain Vineyard in Napa, he started Frog’s Leap Winery in 1981. It is located along Mill Creek in a spot known as the Frog Farm. Frogs were raised here around the turn of the century, providing the very appropriate name! 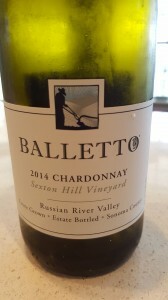 2014 Napa Valley Chardonnay – A lovely Chardonnay with great acidity, the green apple and Meyer lemon flavors are balanced beautifully with the floral aromas and the toasty element from eight months of sur lie aging. 2013 Napa Valley Zinfandel – One of my favorite wines of the tasting, this Zinfandel is what a Zinfandel is SUPPOSED TO BE! It has a beautiful transparent color, not one of those deep purple colors that shouldn’t represent Zin at all! 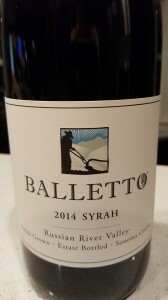 A field blend of 77% Zinfandel, 22% Petite Sirah and 1% Carignan, the aromas and flavors include brambly fruit, licorice, some Southern Rhone type garrigue and has a nice long finish. The thing that probably impresses me the most about Frog’s Leap Winery is that they truly care about our planet. Frog’s Leap produces some wonderful wines, while keeping the planet healthy through the production of solar and geothermal power. 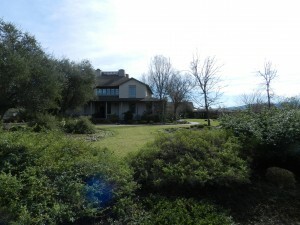 In 2005 they built their Vineyard House according to the goals of the U.S. Green Building Council. They even insulated it using old blue jeans. Talk about recycling!!! Health of the vineyard is achieved though organic farming and the use of biodynamic methods. Along the rows of vines are borders of specially selected plants, which attract butterflies and beneficial insects. 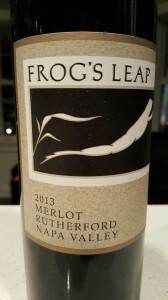 So if you want tasty wine, made true to the varietals and green conscious to boot, pick up some wines from Frog’s Leap Winery. Or if you’re heading to Napa, pay them a visit. 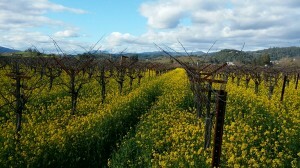 The Dry Creek Valley in Sonoma Valley is a lovely AVA with a lot of great wines. Their red varietal specialty is often considered to be Zinfandel. 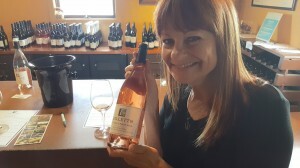 Some experts believe that there is nowhere else in the world that this variety thrives as well and produces as voluptuous grapes as in the Dry Creek Valley. 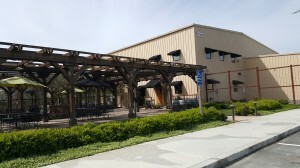 One winery in this appellation is Talty Vineyards & Winery, which sits on six acres of forty-eight year old Zinfandel vines. 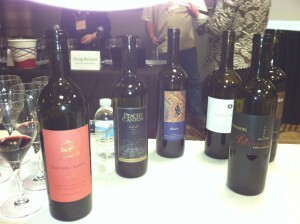 Michael Talty, the winemaker and owner, is doing some really wonderful things with Zinfandel. His are truly some of the best Zins I’ve ever had the pleasure of drinking. His father William Talty was responsible for Michael’s love of food and wine. Together they made wine from Cabernet Sauvignon in their garage and dreamed of one day having a winery of their own. William also was who introduced Michael to the land of Zinfandel, Dry Creek Valley. Sadly, their dream of opening their own winery together didn’t come to fruition because of the unexpected passing of his father in 1993. 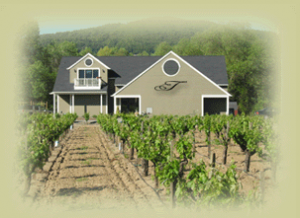 Michael purchased the six acres of vineyards in 1997 and named them after his father. 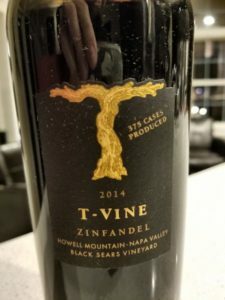 His Estate Zinfandel is made with grapes from the William Talty Vineyard. 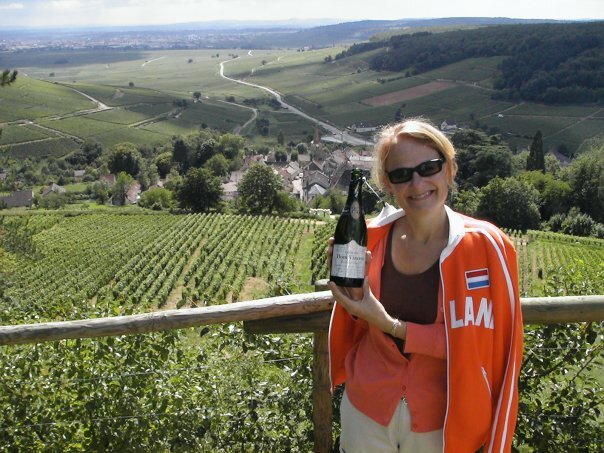 I had been to Talty a few years ago, tasting with Michael’s delightful wife Katie. 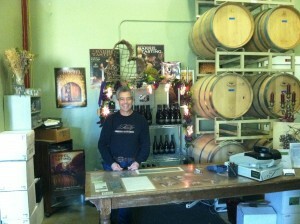 On my most recent visit to Sonoma County I wanted to make sure to pay them another visit. After driving up the long beautiful driveway lined with vineyards on the left and peach trees on the right, we were greeted by their wine dog Bella, and Michael himself! Talty’s winery is very cozy, with a photo of William looking down over the tasting room, which also serves as the barrel room. I loved how the impression of Michael’s father’s presence is obvious in their whole operation. We tasted at individual barrel tables instead of the typical tasting bar, with Michael paying close attention to each table. 2008 Talty Estate Zinfandel, William Talty Vineyard – This is the wine made from the vineyard on which the winery sits. The nose has some pepper, blackberry and nice floral aromas. The palate was juicy and lush, with raspberry, cherry and blackberry, along with some peppery vanilla. 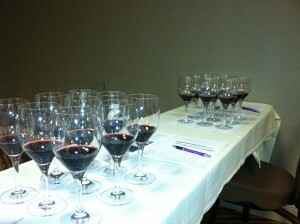 The 2008 is comprised of 90% Zinfandel, 7% Petite Syrah and 3% Carignane. 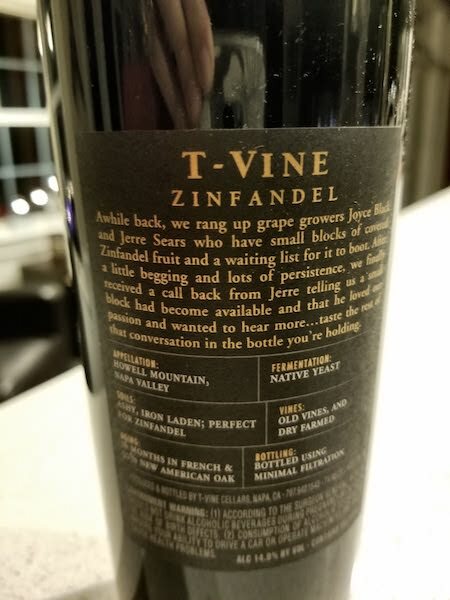 2009 Talty Zinfandel, Filice Connolly Vineyard – The nose is lovely, with some spice and oak, along with a very fresh black raspberry. The black raspberry explodes on the palate, with some chocolate and spicy oak leading to a nice long finish. 100% Zinfandel aged in 100% American oak. 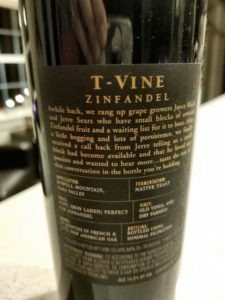 2009 Talty Zinfandel, Dwight Family Vineyard – This is the youngest of the three vineyards with whom Talty works, and he is very excited about it’s progress. The 2009 vintage produces currant, spice and floral notes on the nose. The palate is well balanced, with the beautiful fruit shining through some lovely spice and vanilla. This wine is 95% Zinfandel and 5% Petite Sirah. It was aged in 75% American oak and 25% French oak. Michael Talty is doing a bang-up job in Dry Creek Valley. 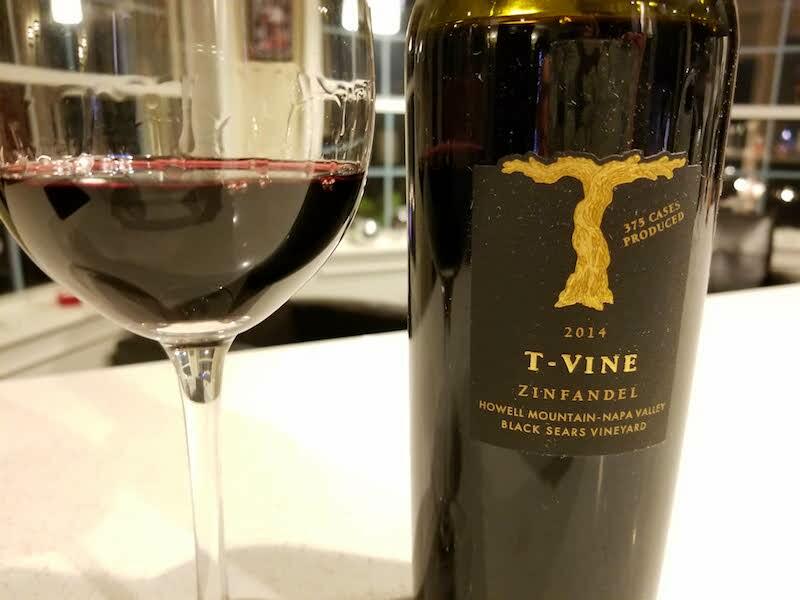 If you’re a fan of Zinfandel, you will love this experience. If you’re not so sure about this varietal because you’ve experienced the huge over done Zins of some producers, give Talty a try. I can’t help but think that you’ll enjoy these delicious and food friendly Zinfandels.